This is an excellent excerpt reprinted with permission from Burke’s book, High-Tech Cycling-2nd Edition. “Most studies examining pedaling cadence have focused on pedal optimization in terms of economy/efficiency and local muscle stress. In this section, we will summarize the findings of the numerous laboratory studies that have attempted to identify which cadence is optimal. Unfortunately, few investigations have analyzed the question in well-trained cyclists riding their own bikes, making it difficult to apply the findings to actual cycling. Paradoxically, most individuals prefer to pedal at high, theoretically inefficient/uneconomical cadences (examples include Boning, Gonen, and Maassen 1984; Cathcart, Richardson, and Campbell 1924; Chavarren and Calbet 1999; Coast, Cox, and Welch 1986; Croissant and Boileau 1984; Gaesser and Brooks 1975; Garry and Wishart 1931; Gueli and Shephard 1976; Jordan and Merrill 1979; MacIntosh, Neptune, and Horton 2000; Marsh and Martin 1997; Marsh and Martin 1998; Seabury, Adams, and Ramey 1977; Takaishi, Yasuda, and Moritani 1994; Takaishi et al. 1996; Takaishi et al. 1998). A detailed look at the published studies suggests that both general conclusions need to be approached with caution. 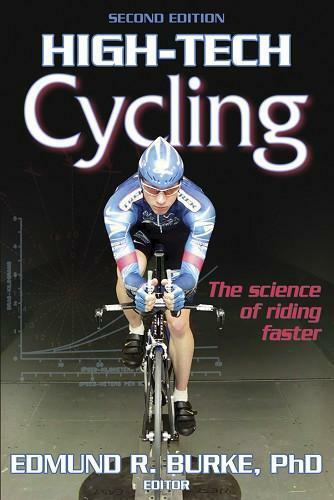 Several factors may alter the optimal and preferred pedaling cadence, including absolute and/or relative power output (i.e., watts or percentage maximal oxygen uptake [V·O2max], respectively), duration of exercise, test mode (cycle ergometer tests versus riding a bicycle on a treadmill), fitness level of the subject (cyclist or noncyclist), and the high interindividual variability, even among trained cyclists of similar fitness levels, reported by most authors. In general, during laboratory tests performed by noncyclists at constant power outputs (usually = 200 W), pedaling at low rates (~ 50 to 70 rpm) resulted in lower oxygen uptake (V·O2) than pedaling at higher rates (> 90 rpm). In any case, such a generalization is of little practical value. First, one questions the benefit of optimizing pedaling cadence in subjects whose power output rarely surpasses 200 W, those who cycle for fitness or recreation. Second, elite cyclists are the ones interested in optimizing cadence and making it more economical/efficient, and they are able to generate much higher power outputs during long periods. The average power output of Bjarne Riijs during the 1997 Amstel Gold Race, a World Cup classic lasting over seven hours, was close to 300 W (data from www.srm.de). During the most important stages of professional road cycling races, riders are often required to generate power outputs of over 400 W (Lucia, Hoyos, and Chicharro 2001a), not to mention the one-hour record in a velodrome (Bassett et al. 1999). Bassett and colleagues (1999) estimated that the mean power outputs required to break the one-hour world records in a velodrome during the last years (53.0 to 56.4 km) ranged between 427 and 460 W. The average power output of Miguel Indurain during his 1994 one-hour record averaged 510 W (Padilla et al. 2000). Probably most pro riders are so economically below 200 W, that pedaling cadence hardly changes anything. Below 200 W, Lance Armstrong’s human engine is probably similar to that of the last rider in the overall classification of the Tour de France in recent years, and pedaling cadence does not have a significant effect on either one. The picture is likely to be different above 400 W, but there are scarce data in the literature related to the oxygen cost of generating power outputs over 400 W for 20 or more minutes (Lucia, Hoyos, and Chicharro 2000), and no data exist on how pedaling cadence could alter this variable. This is the type of information needed in cycling science. We should therefore be cautious when applying the findings of previous research concerning cadence optimization to highly trained cyclists. The most economical of cadences tends to increase with absolute power output, that is, with watts (Boning, Gonen, and Maassen 1984; Coast and Welch 1985; Hagberg et al. 1981; Seabury, Adams, and Ramey, 1977). For instance, Coast and Welch (1985) showed that the cadence eliciting the lowest V·O2 at 100 and 330 W was 50 and 80 rpm, respectively. Thus, absolute power output is a key factor of cadence optimization and precludes any simple answer to the problem. On the other hand, trained cyclists are more effective than recreational riders at directing pedal forces perpendicular to the crank arm (Faria 1992). Such an ability carries a biomechanical advantage and probably allows trained riders to pedal at high cadences with no major loss of efficiency. Instead of speaking of an inverse relationship between cadence and economy/efficiency, maybe it would be more correct to speak of a U relationship during constant-load exercise. There may be an optimum pedaling cadence below and above which oxygen cost increases significantly. Yet, can we assign a value to this theoretical optimum cadence at the bottom of the U? Probably not, given the great variability among cadence studies involving trained cyclists yielding the lowest V·O2, from ~ 60 to ~ 90 rpm (Chavarren and Calbet 1999; Coast and Welch 1985; Hagberg et al. 1981). It is generally accepted that the theoretical optimal cadence in terms of oxygen cost for most humans is generally lower than that preferred by trained cyclists (> 90 rpm). This generalization requires some specification. First, the gap between the most economical or efficient and preferred cadence is usually narrower in trained cyclists. For instance, Hagberg and colleagues (1981) found both to be close to 90 rpm in trained cyclists. Second, few data in the scientific literature concern the preferred cadence of trained cyclists during actual cycling, although it is consistently assumed to be higher than 90 rpm. Indeed, the latter is only really true for one-hour records in the velodrome. Besides, fixed gears are used in velodrome events. Fixed gears are designed so the rider is constantly forced to move the pedals and might elicit different physiological responses than normal, free gears. Only one report addressed the preferred pedaling cadence of professional cyclists during three-week races (Lucia, Hoyos, and Chicharro 2001b). Among other findings, the mean preferred cadence of the subjects was shown to range from 70 to 90 rpm, and high variability was shown between subjects and the type of terrain (flat versus uphill). High interindividual variability has also been reported for the preferred cadence of trained cyclists (72 to 102 rpm) during laboratory testing (Hagberg et al. 1981).